The perennial ballet Nutcracker graced the State Theatre’s stage this past weekend. This classic ballet is a serene and delightful one, fitting for the Christmas season. A majestic feat pulled off by American Repertory Ballet’s cast and orchestra, Artistic Director Douglas Martin led the production of this famous Tchaikovsky ballet, a holiday tradition in the United States since 1964. The American Ballet Workshop, the pre-professional wing of the repertory and the Princeton Girl Choir Semi-Tones also performed. This production included a cast of approximately 100, according to the State Theatre Playbill. Set in two acts, it begins with Christmas Eve at the Silverhaus’ home, a richly decorated one. Accompanied by guests, the festivities begin and Clara receives a beautifully carved nutcracker from her Uncle Drosselmeyer. Clara’s brother tries to take it from her, causing it to fall to the ground, shattering in pieces. Her uncle bandages up the doll and night falls as Clara’s entry into another world begins. At the behest of her Uncle she enters a dream world where the Nutcracker is now a life sized being whose army defends the Christmas tree against the Rat King and his army of rodents. Before long the Nutcracker is a prince and he and Clara venture into a magical world. Clara is dressed in her nightgown the entire time as the duo ventures through the Land of Snow and the Land of Sweets. In these lands Clara and her prince are mystified by the scenes, the dancers, the mini angels, and the music. They watch as the characters display their talents in beautiful stage settings that are adorned by the dancers’ costumes. A land of snow, in pastel colors including lilac, tangerine, lemon, and lime dotted the stage from the costumes to the back drop, like an artist’s brushstroke. This can be credited to the talented production team behind it all. In the Land of Sweets they meet the Sugar Plum Fairy who graces them with dancers from various places such as Spain, Germany, Russia, and Arabia, all to show her appreciation of Clara for having saved the day by warding off the Rat King. In addition to the Nutcracker Suite, the other compositions were exquisite, played with precision and alacrity by the talented musicians, led by conductor Michael Pratt. The Princeton Girl Choir Semi-Tones appeared in the audience along the wall, singing serenely for one of the acts, showering more magic on the already magical production. Clara awakens at the end of the ballet and, hopefully, her transformation during the night will seep into her day life, and spice it up a bit. After all, that would be a nice Christmas gift. 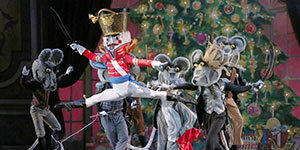 The American Repertory Ballet performs the Nutcracker every year beginning in November. They’ve been delighting viewers for nearly a half century transporting them to a world of sugar plums, magical snow, and a Tchaikovsky score—all things that make a grand holiday season that much grander. 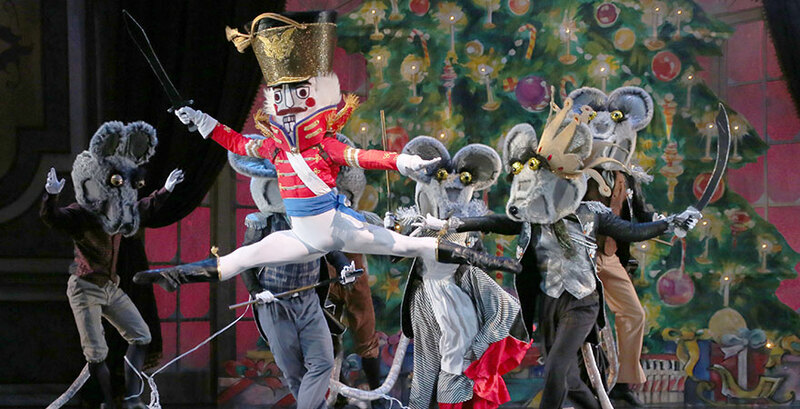 American Repertory Ballet bring Nutcracker to Life!